Lawn mower, garden tools, extra hoses, fertilizer bags and those leftover bricks from your patio project: What do all of these items have in common. They’re all cluttering up your basement or your garage and you’re tired of dragging them out into the yard every time you need to use them. 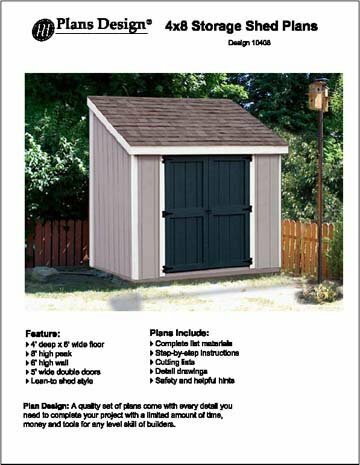 The solution to your problem just might be one of the Manor Series 4 x 6 outdoor storage sheds from Keter Plastic. 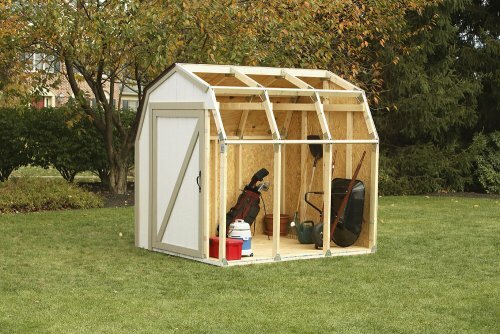 This tough plastic shed won’t ever rot, peel or dent, unlike its wooden and metal competitors. Furthermore, the double door at the front of the shed makes it easy to get big items in and out of the shed without strain or hassle. 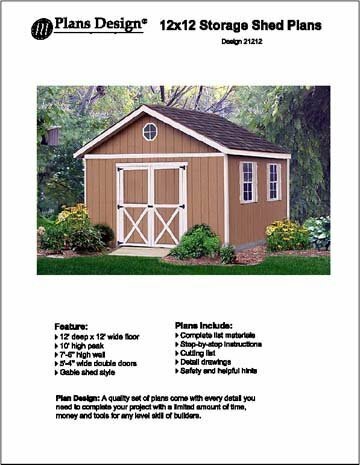 Like every Keter shed, you can activate the shed’s warranty once you purchase it. We stand behind our sheds and we know you’ll be pleased with your new Manor shed. This particular 4x6shed has an internal storage capacity of 133.2 cubic feet. We think you’ll find that plenty roomy enough to fit your garden supplies, tools and other odds and ends that might be lying around your yard. The shed also has a fixed window on the side and a ventilation vent at its peak. 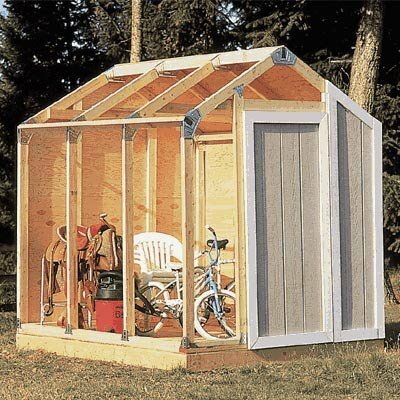 These features prevent the shed from becoming too musty during hot or wet weather. Not only is this shed functional, it’s also easy on the eyes. 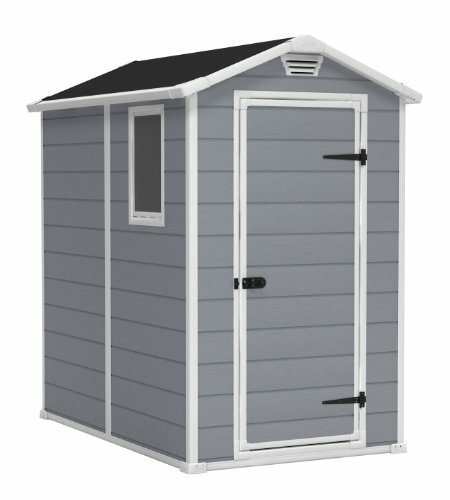 The Manor storage shed comes in a gray color, the gray is a light, dove-colored gray that’s a good match for light-colored homes. 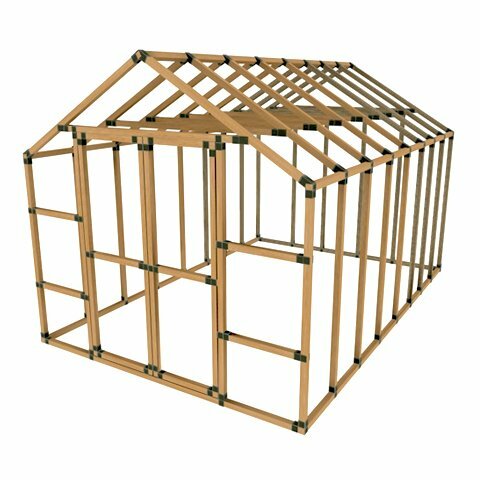 Finally, the Manor shed is easy to assemble. What’s more, once you’ve gotten it assembled, you won’t have to do anything to maintain it. 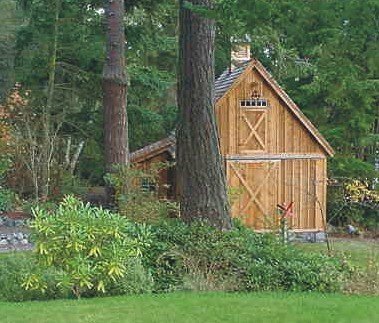 When you pass your home on to your children or grandchildren, it’s very likely that the shed will still be sitting merrily in the backyard, with very little signs of aging. Use your garage for parking, not storage. Use your basement as a rec room, not as an overflow for your lawn equipment. Use the Manor plastic shed for all your outdoor storage needs. Not a Rubbermaid I replaced my Rubbermaid shed after twenty years with this Keter shed. The material is flimsy and cheap ( I am not sure how long this type of material will hold up. I have never worked with this material before this shed) There aren’t any marks where you are suppose to put the screws. This picture is deceiving. There are screws that you screw into the white framing which rust after one rainy day. The roof was very difficult to fit into place before screwing it on. It took two of us to eventually get it in place. The front bottom is also raised. So, you can’t sweep it right out. I also have to pick my lawnmower up to put it in. The good news is it does fit a lawnmower, yard tools and a spreader. I purchased this because of the color and size. It fits perfect between my house and fence. It does have a fixed window and two vents. It is a cute little shed. But, for the price if Rubbermaid made a shed in gray I would of bought theirs instead. Manor 6X8 Shed We purchased this shed 30 days ago today. We are extremely unhappy with it. It is still not fully assembled!!! Part specifications do not match the parts list in the instruction manual. Customer Service has limited ability to help. They rely on the quality control department which is in Israel. Will not purchase another product from Keter! Buyer Beware!! !